With so many social media outlets available today, it can sometimes become overwhelming to choose which ones you should be using to engage your audience and bring in new customers. It may seem like the best course of action is to ignore all the choices and just stick to one outlet. What many photographers do not realize, however, is that each platform offers opportunities for growth – whether this may be through brand recognition, followers, or potential customers is your choice! 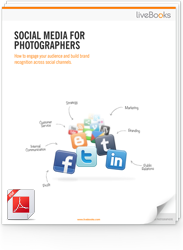 We have outlined the platforms we believe will give your photography business the biggest growth potential! 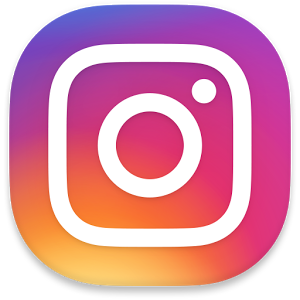 With over 800 million monthly active users, Instagram has the power to become one of the most important means of outreach for your photography business worldwide. This platform offers you the chance to build a portable portfolio where you can showcase your work. This doesn’t mean that you have to post every picture from your shoot, but rather the one(s) you consider to be the best. With its massive hashtag database, Instagram can help bring in clients that are looking for your type of work. By using specific hashtags, clients will be able to find you more easily. When used correctly, these hashtags can become similar to how SEO helps your webpage get views. In addition, creating a unique hashtag for your business can help create a viewing gallery for potential clients. For example, using #johnsmithphotography on your images and having your clients use it when they post your images on their profiles, will ultimately increase your brand’s recognition! Facebook is one of the first platforms that come to mind when talking about social media. Having 2.2 billion monthly active users makes it one of the most widely known social media platform. It not easy to figure that this platform can be a very powerful tool to drive new customers to your business! Instead of using your personal page to showcase your work, create a Facebook page that allows anyone to access your profile. With the use of analytics provided by Facebook, you’ll be able to measure the effectiveness of each post and activity on the account. Additionally, creating a page allows you to boost a post and create advertising campaigns. These two options allow you to choose your target audience (residing area, gender, age, etc.)! Another great tool that Facebook offers is the creation of events. If, for example, you are giving a photography seminar and would like to invite your followers to attend, this tool helps you reach out to an audience, track the number of attendees, and keep the discussion streamlined all in one place! Twitter is oftentimes overlooked by many photographers. It requires time and energy to fit everything you are trying to communicate about a shoot into only 140 characters. However, this is a powerful form of expression. You do not need to give your audience an entire explanation of what the picture is about. Rather, allow your image to speak for itself. The saying holds true in this scenario: “A picture is worth a thousand words”. Many photographers do not realize that when they share their work through Twitter, it can get picked up surprisingly fast. The environment surrounding this platform is very much based around retweets. When your followers love your work, they are very likely to retweet your posts. To start promoting your business through Twitter, you can see the marketing tips they offer on their website! As with Twitter, YouTube and Vimeo are often ignored by photographers. Many argue that they are not videographers and do not have any content to upload. These video-based platforms are often relevant to the type of photography that you dedicate yourself to. If you are a Wedding Photographer, uploading samples of the “Wedding Day” videos you have created would be a great way to showcase your work to new clients. 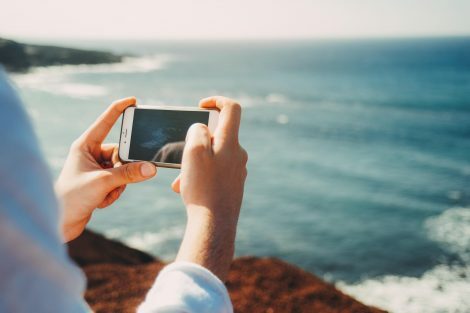 If the type of photography you dedicate yourself to doesn’t require the use of videos, you can create video tutorials for your audience and peers. These types of videos create a sense of trust in your viewers that can easily translate into a client-based relationship. By creating a channel on YouTube or Vimeo, your audience will be able to more easily find you and find more videos created by you. 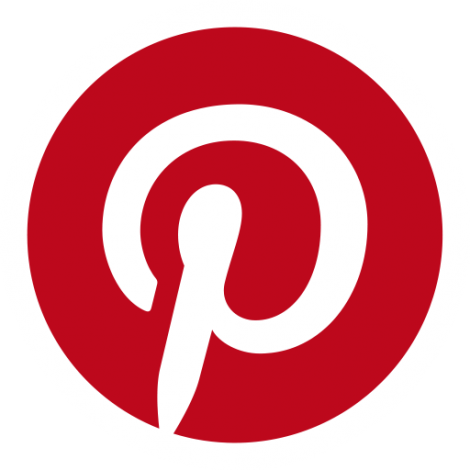 Pinterest is a content sharing service that allows members to “pin” images and videos to their pinboards. The main idea is to create a variety of categories that contain pins, resources, photos, and other information that the viewer finds interesting. As a photographer, creating your own account that not only showcases your work but also has pins of the type of things you like, allows viewers to better connect with you in a personal way. Landscape photographer, Joshua Holko, shares his work from his projects in various boards that viewers are able to see and pin onto their own boards. It’s also important to note that this social media platform is largely based on shares. Since photography is such a visual business, it can be a great tool for photographers to market both themselves and their business. 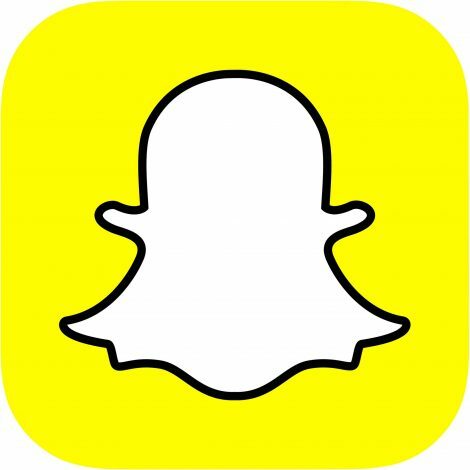 Similar to Twitter, Snapchat is often overlooked by professionals. However, Snapchat offers you and your business the ability to reach your followers organically. The video content you create for the platform is unfiltered, unedited, real and shared in real-time with your audience. Once a follower clicks into your Snapchat story, you have their undivided attention. In a world ruled by constant interruption and many outlets calling attention to your followers, this is a great resource to have on your side. It’s important to note that Snapchat is a platform that should be used to share how you work rather than to display your work. For example, if you are on a photo shoot, you can record a quick ten-second video showing your audience what you are working on, what brand you’re working with, or even give a quick how-to tip. Audiences create a better connection with you when they feel the work is authentic and organic. It’s important that as a photographer you choose the social media platform(s) you feel are the best to represent your business. 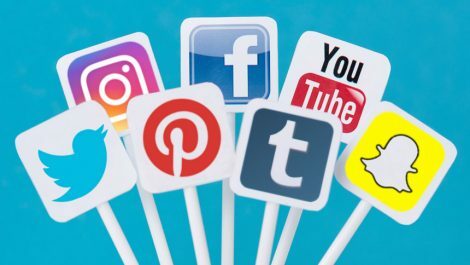 Whether you choose to activate social accounts on all of the above-mentioned outlets or just one, remember to have your business goals in mind. 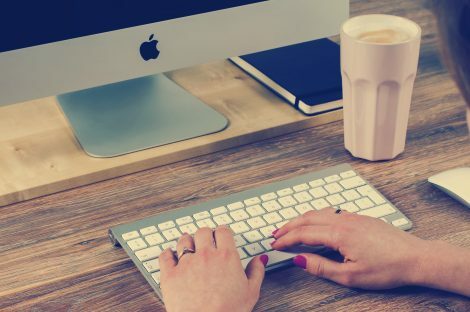 Once you kick off new campaigns or themes through these platforms, maintain your business perspective, marketing efforts, target audience, and specific goals all in line. With this, you’ll be able to accurately measure your success. It is important to provide your audience with regular content. Once you develop a regular posting schedule, stick to it. Chances are, your audience will get used to seeing your account in their feed and will start to look forward to interacting with your content. With that being said, each post should positively contribute to your personal branding goals. Sometimes it is easy to post just to post, but ensure that each photo’s mood, content and quality will sequence seamlessly with the image next to it in your profile, while allowing your audience to get to know you and your business a little better. Some people love landscapes, and some people love portrait photography. Some people are interested in a behind the scenes look at your daily life, and other’s want to see your perfect final images. It is up to you to decide who you want to reach, where you want to be in the future, and then go all in. It is great to vary the content in your feed, but consistency is key when it comes to voice and styling, The most important piece of the puzzle, however, is to make sure that you are staying true to your own personal voice and style. Your clients are coming to your social media to learn more about YOU and YOUR work. In the end, people that are interested in the content you are producing will follow and interact with your profile. Find your personal style and use this to guide your content and online image while connecting with your ideal audience. Hashtags are a great way to connect you with professionals in your industry as well as potential clients. Beware though, hashtags are also a great way to connect you with spammers. Keep hashtags specific to your location, the content of the image, and your industry to drive up interaction with your target audience. While it feels great to have a large number of followers, you want to make sure that the right people are following you. I will let you determine who the right followers are for your account, but it is our hope that you are able to connect with people that are genuinely interested interested in the content that you are producing (and could, hopefully, turn into potential clients!). How good does it feel when you receive a compliment or comment on an image? Pretty good, right? Stay connected with professionals in your industry by commenting and interacting with their Instagram profiles too. Most importantly, make sure your comments and interactions are genuine, thoughtful, and productive. Instead of posting a generic: “Great image!” comment, let the poster know exactly what it is you love about their post or profile. Taking an extra second to generate genuine feedback has the potential to translate into deeper connections and a larger following base overtime. Keep in mind, however, that each user’s Instagram post is essentially a public platform, despite any security settings that are in play. Make sure you are conveying your personal brand image at all times. You never know who may be following them! Know that once you have gained followers, they may want to interact with you in every way! That means that when they visit your website, they will want to check out your social media outlets as well. With the new liveBooks 8 platform, you are able to create a bridge between your website and your social media accounts. 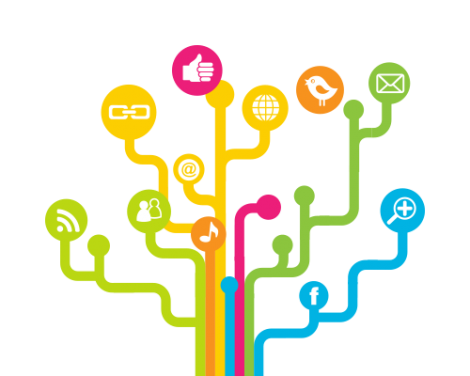 Inserting custom social media icons into your website’s footer or navigation is a great start. 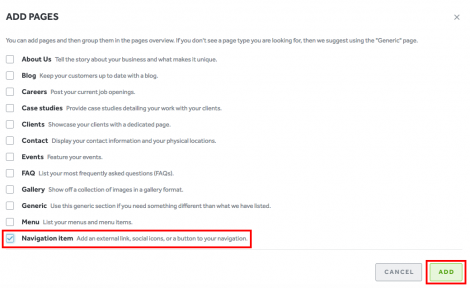 Read this blog post to learn how to integrate social media icons into your website’s footer. Also don’t forget: you can also add your website link to your Instagram profile. This will help lead your Instagram followers into potential clients! Are you on Instagram? We want to feature you! If you have an image that you are interested in having us share, send us an email at social@livebooks.com. The liveBooks website editor allows you the freedom to create a custom navigation bar that fits your website’s specific needs. Whether this includes a drop-down menu that organizes your portfolio galleries into a visual index for your viewers to choose from, the use of social media icons, or the use of links and buttons to direct your viewers to another webpage or websites, you’ll be able to customize every aspect of the navigation bar. 5. From the drop-down, select “Text (No link).” This will allow you to create a title for the portfolio/gallery without leading your viewers to a blank page. Once you have chosen this option, change the Text Label to the name you would like your drop-down menu to have. 6. Once you have successfully finished all of the above steps, you can begin adding portfolios that will showcase your work. In order to organize the portfolios to display in the drop-down menu you have just created, you will need to indent your portfolio pages. If you have added a variety of pages to your navigation bar, we recommend that you consider adding social media links to the footer of your site. With a number of pages in your navigation, viewers may find it to be too crowded. 7. Make sure to copy and paste the exact URL from your social media outlet. Also – check these icons frequently to make sure they are still linking to your social feeds correctly. Changes in usernames and domains from social media feeds may cause you to lose viewers along the way. The links and buttons feature on the navigation tool can help navigate your viewers to a specific part of your page that you want to showcase. This is especially true in the case of buttons. Links, on the other hand, are more commonly used for external links, which will lead viewers to another website. Is there a liveBooks feature that you want to learn more about? Let us know at social@livebooks.com! If you’re anything like us, being productive is just a little easier when listening to music. There’s something about opening up your to-do list and plugging your headphones into your favorite playlist that helps you get things done. Because of that, we wanted to share what we are listening to this month with you. We consulted our liveBooks team and compiled a playlist of our current favorite jams. 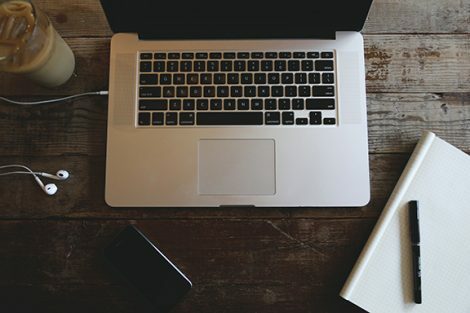 So, whether you’re editing images, updating your liveBooks site or answering emails, we hope there is something on our August playlist that helps to keep you focused, inspired, and hustling. Is there a song that you have on repeat right now? Comment below and let us know!